2-piece modular design snaps together easily for use but folds flat for transport or storage. 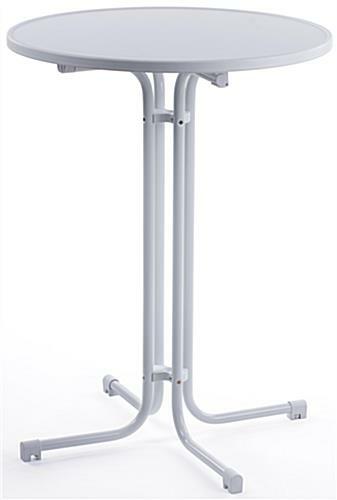 White finish fixture is ideal for use with traditional cloth or spandex stretch tablecoverings. 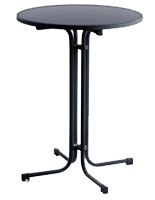 Versatile pub furniture can be used for dining, drinks or display. 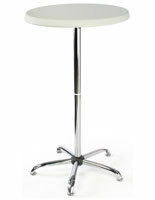 This modular round bar tablehas a wide 31-1/2 inch diameter white MDF top that snaps securely to the 42-1/4" folding steel base. 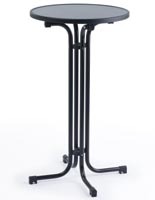 This sturdy cocktail accessory is a perfect choice for everyday use in a pub, nightclub, bar or restaurant or as special event furniture. 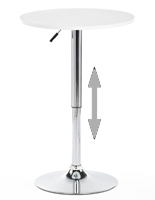 The folding design fixture, white finish modular round bar table snaps together to comfortably hold several patrons for dining or cocktails. 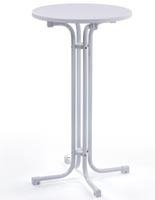 Collapsible pub furniture is designed for use with spandex scuba-style tablecloths or standard cloth covers to match any decor. 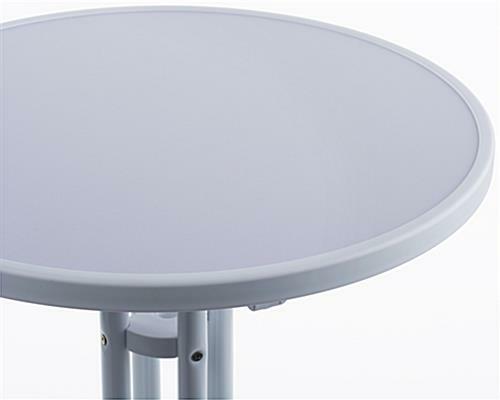 This white finish modular round bar table, also known as occasional pub furniture, is available online in other diameters, heights and finish colors alone or as a set with choice of tablecover (see "related items" for details).